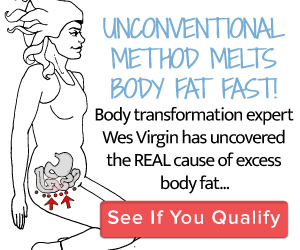 One area of the body that most people, both men and women, find entirely unattractive on their own bodies is their belly fat. Having a flat stomach or a “six pack abs” is the dream of most adults. It is something that adults who are heading for a beach vacation strive to achieve in the months prior to leaving. Those of us who are not satisfied with our stomachs love the winter months where sweat shirts and sweaters can hide our spare tyre. But losing that spare tyre is possible. The best part about it is that there is no secret formula, no magic bullet, and no special diet plan and no specific food that especially targets belly fat. And the better news is that belly fat is usually the first fat that is lost when you start to lose weight. Recent research has linked fat around the abdomen with cardiovascular disease, diabetes and cancer. More specifically, it is not the fat that you can grab (subcutaneous fat) that poses the highest health risk but rather the deepest layer of fat which produces hormones and other substances that negatively affects your health. This fat (visceral fat) is located next to and in between other organs in the abdominal cavity as can be seen in the illustration above. Want to know if you are setting the stage for type 2 diabetes in your own life? Take a tape measure and measure around your waist at the level of your bellybutton. A measurement that is greater than 35 inches in the women and 40 inches in men is considered unhealthy.